Ballet travel is one of my favorite types of holiday. I love to venture out to discover new venues, new companies, new dancers, and new productions or revisit well-loved places, people, and dance. I think it is fun that dance is the impetus to much of my travel. And each trip, I learn more about how to make my travel enjoyable, less stressful, and just make more sense of the whole experience of being a traveler in this amazing world of ours and taking full advantage of each moment. I didn’t grow up traveling so I never had anyone to show me how it was done. When travel is a very foreign concept, it can be a very frightening concept. It takes some work to figure it out. Honestly, my first experiences with travel were so stressful, it almost wasn’t worth it. Fortunately for me I’m very persistent and with some practice travel has become one of my favorite things… kind of like ballet. Just keep trying, eventually things start to make some sense. So here are just a few thoughts on ballet travel, specifically some thoughts on how to work taking class into your travel plans. If you are traveling to see a performance, I highly recommend seeing if the venue offers a tour, they often include lots of great historical and practical information. I also recommend a google search to see if any of the local museums have exhibits of interest. I’ve been happy to run across wonderful exhibitions of costumes, photography, and tributes to a particular dancer, often someone like Nureyev, or particular companies. Local dance stores sometimes carry regional dance magazines and other bits that are unique and just fun to browse. I also enjoy taking class when I’m out and about. But it can be a challenge, especially if I’m traveling light and fast and with the added cost and enforcement of size and weight limitations to luggage these days, that is the best way to go. I’ve been super fortunate even as an adult dancer with limited experience to have attended classes in Japan, France, England, China, and Italy. Some were fantastic, some were a bit of a mess, but just like ballet, trial and error is one way to learn.Certainly this is not an all-inclusive list and I’ve got notes written everywhere but these are ten ideas to start with and maybe you’ve got some great tips to share! Dance class wear that doubles as pool or beach side wear. Choose a leotard that works as a bathing suit. So many cuts and fabrics work just as well poolside as they do in the studio (not cotton!!). A cute ballet skirt works just as well as a cover up on the beach as it does at the barre. For you guys, not as cute perhaps, but many of my male classmates do opt for shorts and a tank top in ballet class. This will also double as pool or beach wear and it’s one less thing that you need to pack. Or buy dance wear as your souvenir. I’m not a person who runs about buying snow globes and lots of crazy souvenirs. I like souvenirs that I will actually use and enjoy. I love finding new dance wear when I travel that is unique and will carry special memories each and every time I wear it for years to come. Just google dance stores in your holiday location or go to Twitter or Facebook for suggestions. Just make sure you have a bit of room in your suitcase to bring it home. Leave the pink tights at home and let black convertible tights do double duty as regular rights and class tights. An option for guys is to use running tights for class as well as your workout wear. You do still work out on the road, no? Well, I like to and being able to get double duty out of my clothing is a huge plus. Take your foot roller, tennis ball, and small peppermint lotion product. Foot rollers are really very small to pack and can fit in a side pocket or a shoe, same with a tennis ball and that has a plus of being really lightweight. I use both on the plane, before and after class, and after a long day of sight-seeing. I also like to carry a small bottle of peppermint foot rub and give my feet an extra treat when traveling to keep them happy and ready for the next adventure. The tennis ball is also great for rolling out other muscles, really it is an amazing tool, take it with you. P.S. Don’t forget blister plasters, a traveler and a dancers very good friend. Take your warmies and use them as pajamas. Warmies like my Wear Moi onesie along with a pair of warm woolie socks are perfect sleep wear on a long flight and also serve as pjs along with being warmies for class. Leave your hand towel at home. Grab a hand towel from your hotel, just remember to give it back! Check online but most studios have water fountains where you can fill a water bottle. Remember that airlines will fill your water bottle as well, no need to shell out a mortgage payment for a bottle of water at the airport. 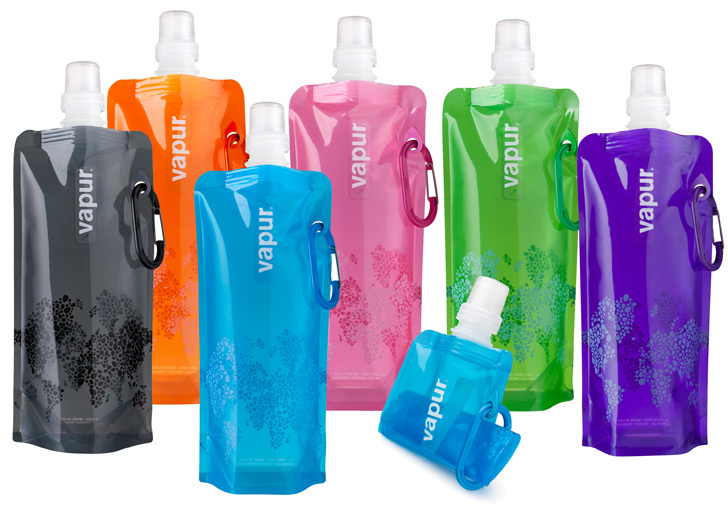 My favorite type of travel water bottle are the flat plastic kind that can roll up like a tube of toothpaste when empty. I almost always purchase a Starbucks travel mug specific to my destination, as long as you get something that will seal, it can double as a water bottle in class. Dance wear can be easily washed in your hotel sink with a bit of hotel shampoo. Wring gently in a towel to draw out the extra moisture and then hang to dry on your towel rack and in a pinch use the hotel hair dryer. I’ve even been known to take my dance wear into the shower with me at the end of the day to save time and water. Buy a bag as a souvenir to use as your dance bag. Another souvenir I like are canvas grocery bags. They are inexpensive and I will use them with regularity at home. On the road they are great to have to carry some take away lunch for a picnic in the park or other purchases. They can also serve as a dance bag while on holiday. 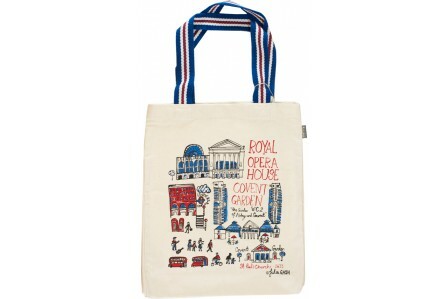 My new bag from the ROH shop. Or use a dance bag as one of your carry on items. Pack it up with your stuff, carry on to the flight, and then unpack it at the hotel and use the bag as God and nature intended for class. Lots of us have dance bags that can carry quite a bit and have lots of convenient pockets and hooks. These bags make excellent carry on bags; this and your roller bag and you are all set to go! How to find a class while traveling? The best thing is to ask!!! Go to Twitter and Facebook and ask about. Google options and don’t be afraid to email, tweet, and message studios that you come across. Most are very nice and helpful and those that aren’t provide you with enough to know that you don’t want to go there anyway! Ask about levels since classes can have names that don’t translate into exactly what you may know as beginner, intermediate, and advanced. I mean, that happens just changing studios. Personally, I always opt to error on the side of an easier class. I love a challenge but I keep in mind that I’m probably more jet lagged and a bit out of sorts than I’d care to admit. It’s sometimes enough to try to figure out a style or school that is different from what you are used to anyway, possible language barriers, brain fog from traveling, and new combinations! It’s a lot. If you do opt to go up a notch, just please remember that one of the most important things for you to know is how and when to get out of the way! Seriously, as always, if you get lost or mess up, keep going. Never place yourself at the head of a barre or front and center in class and when traveling across the floor, do not under any circumstances just stop. But do wear a smile, be friendly, and have fun! I’ve made some lovely friends at studios abroad. Have you taken class while traveling? What did you learn – do’s and don’ts? Let’s talk. Have you ever tried a dance workshop in another country? I did and I usually enjoyed the experience. There are always some local students and a few somewhat confused foreigners thrown together for a week or so, which can be a lot of fun. I have made some friendships this way, too.